When a painting is awaiting collection to be restored, it is understandably tempting for art owners to try and rectify the damage at home. For one oil painting that recently came into the studio, the owner had created a temporary solution to lessen the appearance of two tears in the canvas. The application of strips of canvas on the back of the painting over the holes were short term measures to try and improve the appearance of the painting. As these have been applied to the back of the canvas, we can use a scalpel to remove the adhesive. 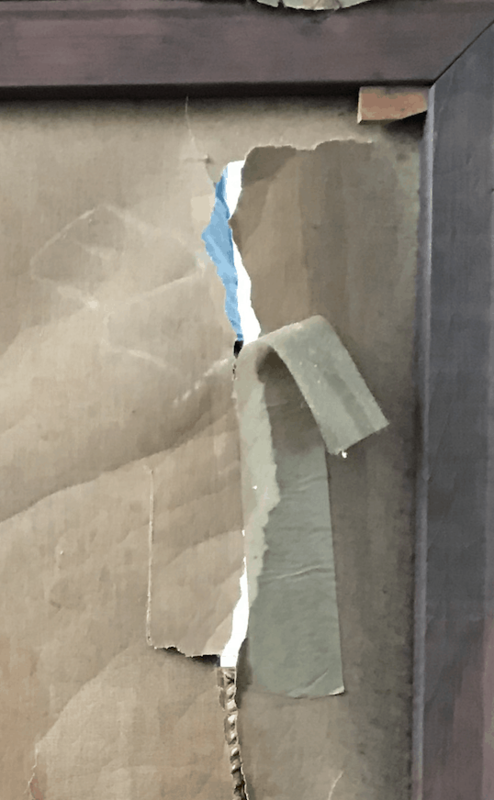 If they had been placed on the front of the painting, there would be risk of further disrupting an already delicate area or causing paint loss. 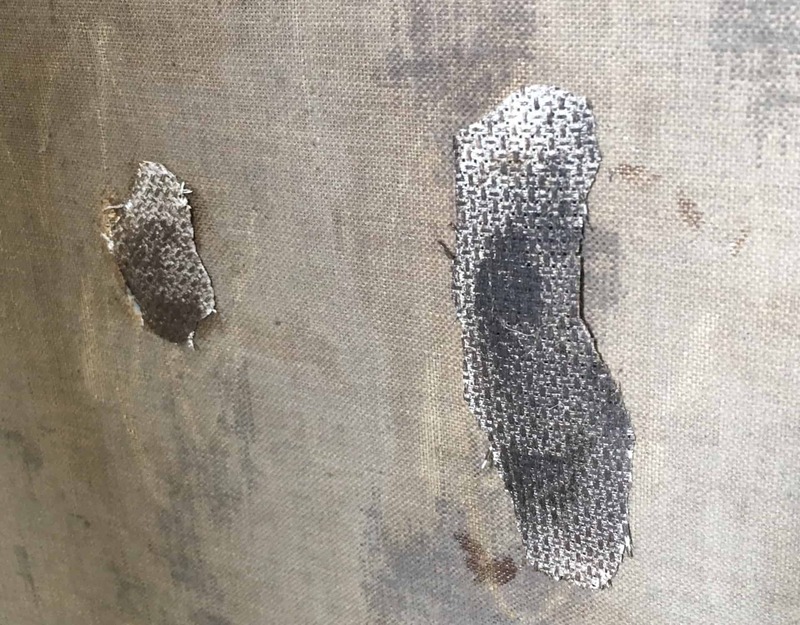 Such makeshift solutions to act as a temporary fix are not uncommon, but they can risk causing additional damage to an artwork. So what is the best way to store and secure a painting before it can be restored? 1.Lay the painting on a clean flat surface, away from any water, liquids, or any nearby contaminants. 2.Rolling the painting is not advisable. If the artwork is in a position to be rolled, this means it has already been taken out of the frame and removed from the stretcher bars. Consequently, with the main support gone, it is already susceptible to further damage. 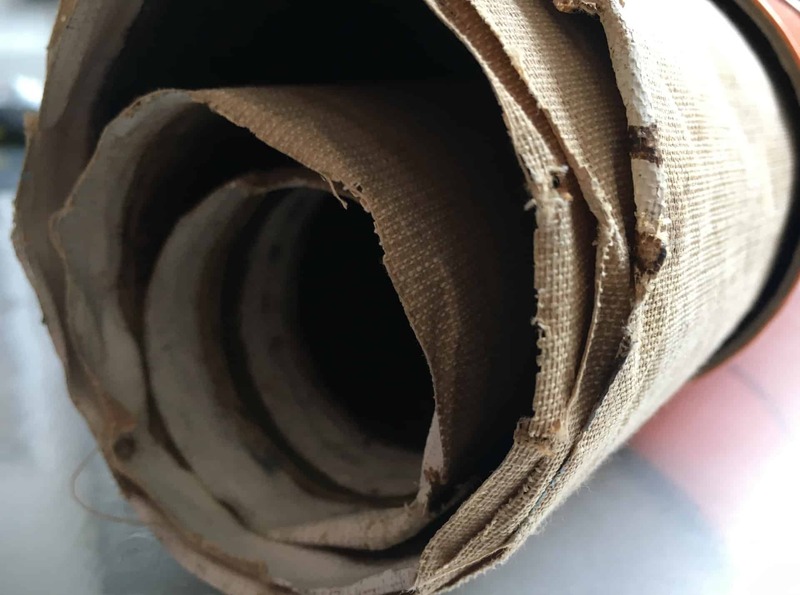 If a painting is rolled, the risk of flaking and lost paint is significantly increased due to the movement of the canvas and the friction caused. 3. 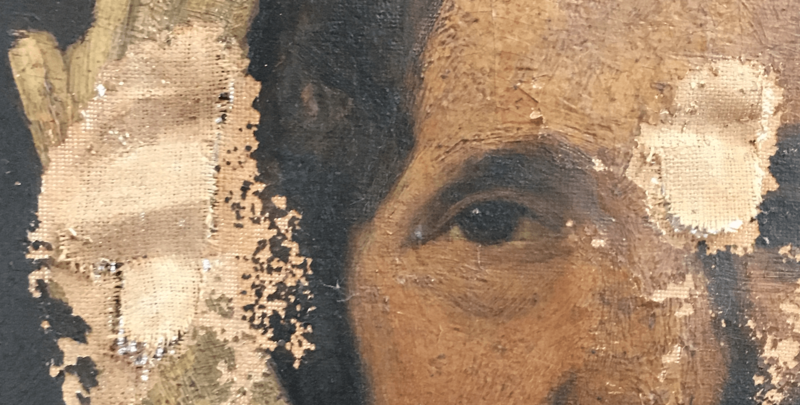 Although it’s tempting to touch the painting it’s important to refrain from doing so – especially around the damaged areas. 4. 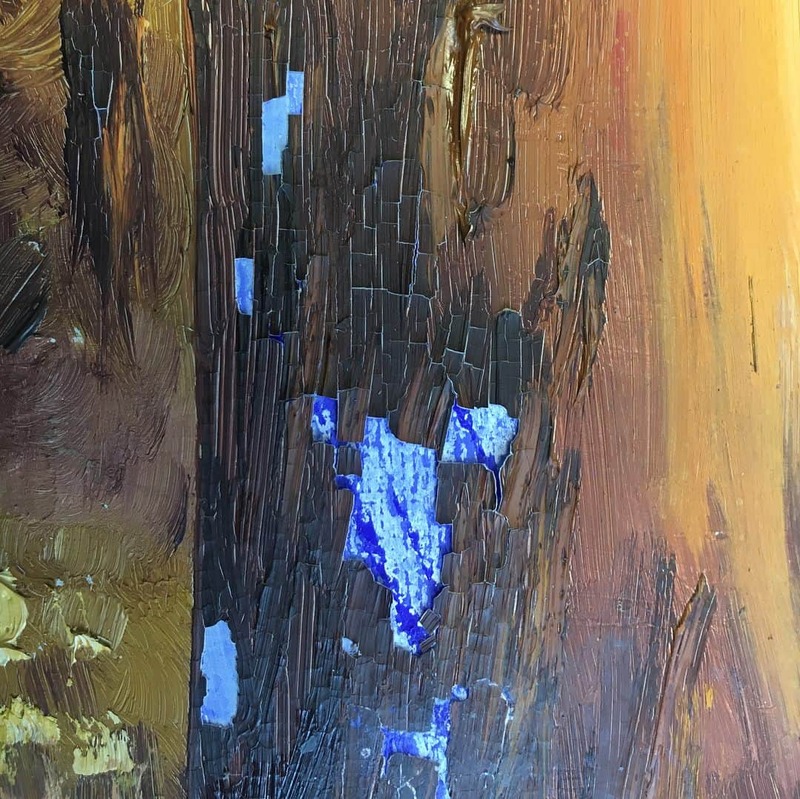 For paintings that have flaking or lost paint, laying something flat on top of the painting in an effort to keep it in place may seem like a good idea. But these areas are already fragile, and placing any additional weights on top of the artwork without first stabilising the paint layer with have a detrimental effect. 5. Trying to stabilise the paint layer at home won’t end well. Applying glue or another adhesive to the canvas, to stick any flaking paint back down will cause more work. Leaving the painting on a flat surface without any movement will be the most effective way of not losing any more paint. 6. Pressure sensitive adhesive tapes such as Sellotape or masking tape should not be applied. This is especially important for the most delicate artworks such as watercolours and works on paper. 7. If your artwork is framed, it is best not to remove it. The frame will still be providing support to the painting, and lifting a (likely heavy) frame from a damaged artwork is most suited to a trained art conservator. 8. For any artworks covered by glass this should also be kept in place. If a pane of glass has splintered, moving it could cause harm to yourself and the artwork. In some cases, the glass (if not sitting properly), can stick to the front of the painting. Removing it could also take off some of the paint layer, which will require substantially more work to resolve the damage. Put simply, doing less is doing more for your painting in this case. We can collect the painting at a convenient date and time for you, and transport it to the studio for the restoration to begin. By implementing the the non-invasive measures mentioned above, you will be looking after your painting in a more beneficial way and ensuring it can be returned home sooner.